Terms and Conditions... Once the form is filled out above you will be contact by a GekGo Worldwide representative who will answer all your questions. A1. All orders are subject to acceptance by GekGo Worldwide which is dependent upon the availability of the vehicle being ordered..
A.2 If you wish to purchase the TANGO, GEKGO 400cc & GEKGO 3-W of your choice, you should read all terms and conditions from GekGo Worldwide. By reading the terms and conditions you agree to purchase the vehicle by the detailed specifications provided, in accordance with these terms and conditions. You must provide a copy of your driving license so that your details will be entered into our companies database for warranty and titling purposes. B.1 The prices quoted will include, delivery to our dealer location, PDI. Tag, Tax, Title and Admin Fees. B.2 GekGo Worldwide reserves the right to change the price before it accepts and delivers any order. In turn you have the right to refuse your purchase based on the price change. B.3 Prices on the web site are for information purposes and do not constitute an offer by us capable of an acceptance by you. The price you pay is the price quoted to you at the time of acceptance of your order. B.4 In the event that any of our vehicles are no longer available. Our Company shall have the right to refuse to accept any order from you. Once the form is filled out above you will be contact by a GekGo Worldwide representative who will answer all your questions. Payment of the balance due on the vehicle must be made as agreed with GekGo Worldwide. It can be made by Bank transfer, Bank Draft, personal check (which has to clear before the car is released) or credit card. E.1 Prior to your TANGO, GEKGO 400cc OR GEKGO-3 arriving at our dealership, we will ask you to send us the following original documents for the purpose of registering your vehicle in your name. E.2 Our Company shall arrange with you, the shipping and or/delivery of the vehicle from our dealer location to your location. a. Reject the vehicle and receive a full refund. b. Have the vehicle repaired free of charge in which case we will inform you of an alternative date for delivery.. If the vehicle does not meet the specification detailed in the purchase order form, the Company will refund the monies in full or re-order the correct vehicle and arrange an alternative date for delivery. E.4 The vehicles supplied by GekGo Worldwide are new and not pre-registered and you will be recorded as the first owner of your vehicle. E.5 The company will make every effort to deliver the vehicle on the delivery date specified in the purchase order. However, delays will occasionally occur and time shall not be the essence of this contract. The company shall not be liable for any damage or loss (including consequential loss) occasioned to you or any third party arising directly or indirectly out of any failure on the company's behalf to meet the estimated delivery time. F.1 If you cancel your order outside of the specified time you acknowledge that Our Company will claim the cost of unrecoverable extras fitted to the vehicle at retail value, and any reduction in the value of the vehicle. Our Company will be entitled to use the deposit and any prepayment to reduce its reasonable losses. F.2 You shall only have the right to cancel your order if there is a delay in delivery exceeding 5 weeks from the date specified in the purchase order form. If you wish to cancel your order under the provisions of this clause you must notify the company in writing. If we do not receive such written notification GekGo Worldwide shall be entitled to regard this as a waiver of your right of cancellation and their for retain the reserve fee and other such monies. F.3 In the event that GekGo Worldwide can source an alternative purchaser for the vehicle our reasonable administration and storage charges will be limited to a maximum of $400. F.4 Under GekGo Worldwide guide lines you have a right to cancel your use of our services without charge, therefore the above sub clauses will not apply. This cancellation right ends on the expiration of 36 hours of receiving the goods. You will be required to arrange transport delivery at a cost to yourselves to our dealer location and take reasonable care of the vehicle prior to this. When the vehicle is received, you must provide us with all keys, registration documentation, optional extras, equipment accessories and all other documentation and paperwork supplied with the Vehicle. If the car has suffered any damage which was not caused by us, you accept there will be an appropriate reduction in the amount of money to be returned to you or if the car has been ordered to your specifications or clearly personalized. Please note a further reduction of no less than $200 and no more than $500 will apply if the vehicle has exceeded 50 miles or more than what is recorded on time of delivery/possession from the checklist. G.1 These terms shall be governed by and construed in accordance with U.S.A. law. The parties hereby submit to the jurisdiction of the U.S.A. Courts. H.1 Your statutory rights including any rights you have as a consumer are not affected by anything in these terms and conditions. Third party rights are hereby excluded. Our Company is committed to customer service. Should you have any complaint about Our Company(s) Service, Our Company is committed to resolving complaints in a fair and effective manner. Please inform Our Company by email should you have any complaint about our service. We are committed to acknowledging your complaint within 48 hours of receipt and undertaking all reasonable efforts to resolving it promptly under the circumstances. We will provide you with a time scale for resolving the dispute and keep you regularly updated with respect to our progress. The website: www.MoJoScooters.com is not affiliated with MoJo Powersports, Inc. Largo Fl. 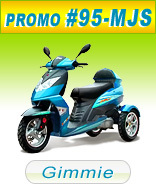 MoJoScooters.com is a company that promotes and advertises from various Scooter dealers. MoJoScooters.com advises you ask questions about warranties and money back returns before you purchase anything. 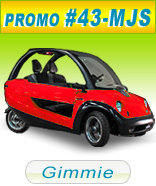 The form that is submitted on this page goes directly to our client who is advertising there products on MoJoScooters.com. MoJoScooters.com has nothing to do with the purchase or warranty of scooters or products that may result in a sale from the submission of this form. You must address any questions to the company you have made the purchase directly from. Once you submit the form You will be contacted by the current advertising Scooter company on how to proceed with the purchase or to answer any questions you may have. MoJoScooters does its best to find reputable Scooter dealers for advertising on our site. 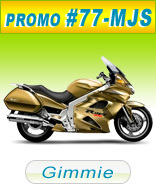 MoJoScooters is usually offered special low priced advertising deals on our promotions we run with our scooter dealers, saving you money and time. Always compare and be prudent with any purchase. Scooters vary in size from mini to full-size and at speeds from 15 mph and up! Scooters come in an assortment colors and features so you are bound to find the right scooter for your needs. It's up to you stand-up or sit down, 2 wheel scooters or even 3 wheel scooter models. The best part about motor scooters is that they are fun to drive. Don't miss out on the fast scooter excitement. From kids to adults they will bring fast fun to your life, going anywhere you want at a great price. Cheap, reliable and easy to store away. What are you waiting for! scooters, motor scooters, electric scooters, gas scooters, electric scooter, motor scooter, gas scooter, honda scooters, vespa scooters, gas powered scooters, razor scooter, yamaha scooters, gas powered scooter, mobility scooter, razor scooters, honda scooter, gas motor scooter, vespa scooter, scooter for sale, yamaha scooter, moped scooter, scooter store, motorized scooters, honda motor scooter, cheap gas scooters, razor electric scooter, vespa motor scooter . Motor Scooters for sale Gas Scooters and Electric Scooters at MoJoScooters.com . Motor Scooters for sale Gas Scooters and Electric Scooters with scooter information and scooter articles. scooters, scooter, motor scooters, motor scooter, gas scooters, gas scooter, electric scooters, electric scooter, new scooters, used scooters, fast scooters.